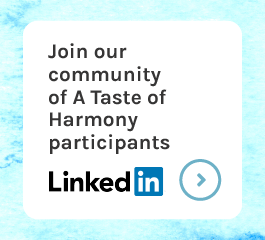 Once you have registered your event on the A Taste of Harmony website, you will have access to the Event Hub. 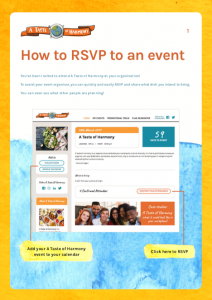 You can personalise your event, access tools to manage your RSVPs, create meal lists and download posters and graphics to promote your event! 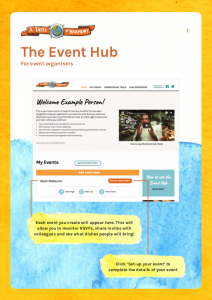 For event organisers – a guide on how to set-up your event and access Event Hub tools. 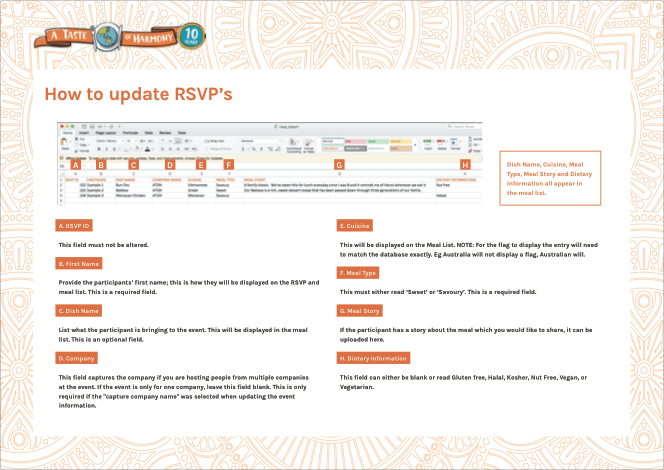 For participants – a quick guide you can send with your invitations, in case anyone wants assistance to RSVP!